How much does a priest make in the UK? Being a priest is not a nine to five job so you’d expect anyone who follows this path to be well paid for their time. 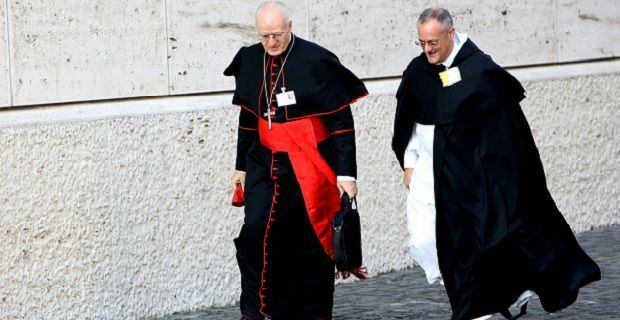 Perhaps they are in a spiritual sense, but the reality is that you’ll be surprised that the answer to the question: how much does a priest make? is that they make far less than you’d imagine. Most priests in the UK are not paid directly by the diocese. Instead they get their wage from their parishioners in the form of a stipends. This is basically made up of donations from parishioners given in exchange for holding a service or saying prayers. The collections taken at Christmas and Easter time also add to the stipends. In a wealthy parish, a priest paid through this method could expect to receive something like £10,000 per annum through this pay structure. In small village parishes, a priest may only get somewhere around £2,000 from their parishioners. In addition to the stipends, priests may also get a £4,000 payment from Catholic charities. Most priests have their accommodation paid for. When you take the cost of accommodation away from your own wage, you’re probably left with a similar amount to a priest, perhaps less. Costs like council tax, utility bills as well as any rental costs are covered by the diocese so the money made from the work can be spent on other things. Although there is no job quite like it, there is a training course that needs to be carried out before you can be ordained. Unlike the sort of training course that you’d go on for other vocations, there is no exam at the end. Statistics show that 60% of those who want to be a priest aren’t right for the role so they tend to get rejected at interview stage. Those who do enter training, called seminary, face six years before they can be ordained.